The risk of flooding to coastal towns around the UK is high and increasing due to rising sea levels. To combat this risk, the Environment Agency has, recently, been undertaking development work to help improve the flood defences in areas where protection is lacking. One such area is Shoreham-by-Sea (often referred to as Shoreham). 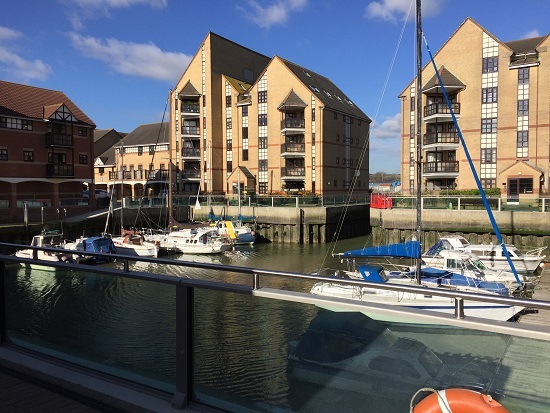 Located on the south-east coast between Brighton and Worthing, Shoreham is a seaside town and port in West Sussex that has become vulnerable to flooding from the River Adur, which runs through the centre of town. 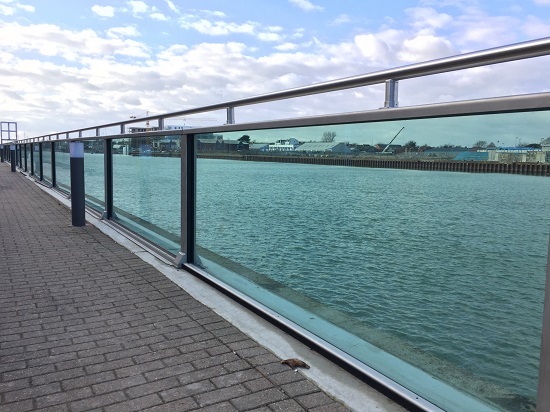 Kite Glass provided the glass panels for a glass flood barrier that was installed in Shoreham. Now complete, the addition provides an extra level of protection on top of the existing concrete flood barrier. We supplied 41mm of heat soaked toughened laminated glass with a specialist interlayer for structural strength. Both outer surfaces also had the addition of a self-cleaning glass coating, ensuring the long-term durability and clarity of the glass. The panels used for the project were specialist high strength glass, offering the vulnerable area a permanent defence against floods whilst simultaneously creating a visually modern and sleek barrier. Significant testing was conducted at Kite Glass to BS EN356 P5A, which entails dropping a 100mm diameter steel sphere from a height of 9 metres onto the glass surface. See our Videos page to view our Strength Test videos.